AstraZeneca has received another boost to its aspirations in oncology with the FDA approval of Calquence, a next generation treatment for mantle cell lymphoma (MCL). Calquence (acalabrutinib) is expected to take market share from AbbVie and Janssen’s Imbruvica, which is now a well established second line treatment in MCL and first line treatment in chronic lymphocytic leukaemia (CLL). The drug is in the same Bruton’s tyrosine kinase (BTK) inhibitor class as Imbruvica, but its next generation status has produced higher levels of response in patients and fewer severe side-effects. Sales of Imbruvica could hit $2 billion by the end of 2017, but Calquence has been forecast to overtake its rival. AstraZeneca quoted potential peak sales of around $5 billion when it acquired the molecule two years ago, though many analyst forecasts are much lower. Yesterday’s FDA approval is in adult patients with mantle cell lymphoma who have received at least one prior therapy. This will put it into head-to-head competition with Imbruvica, which is not yet approved as a first line therapy. Calquence can also be used in patients who either stop taking Imbruvica because of tolerability issues or because their disease relapses. Around 20-30% of patients stop taking Imbruvica because of tolerability issues – these include diarrhoea, bruising, skin discoloration and atrial fibrillation – adverse events much less common in AZ’s early stage trials of its drug. 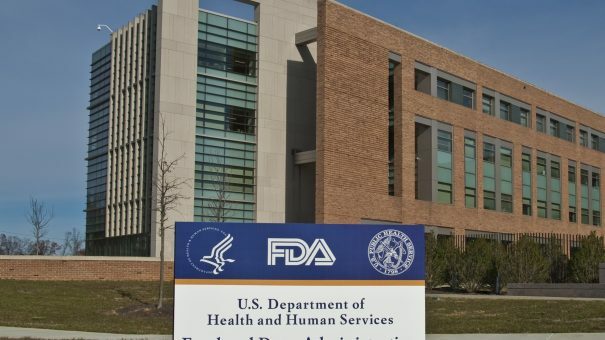 Calquence’s ability to treat patients who don’t respond to Imbruvica had secured it an FDA Breakthrough Therapy Designation, and then an exceptionally fast approval time of less than three months. 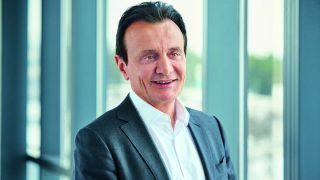 Pascal Soriot, chief executive of AstraZeneca, said: “The accelerated approval of Calquence is a landmark moment for our company. It provides an exciting new treatment option for patients with mantle cell lymphoma and marks the first approval of a medicine that will be the cornerstone of our presence in haematology. 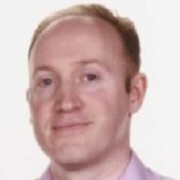 AZ still have a long way to go to prove the drug’s value, however, as it was approved on an accelerated pathway based on a single arm study of 124 patients with mantle cell lymphoma, and will need to provide further data to confirm its approval. Calquence is also being evaluated as a potential 1st-line treatment for patients with MCL, in combination with bendamustine and rituximab in the Phase 3 ACE-LY-308 clinical trial, which has an estimated primary completion date of October 2022. Calquence is also in trials for a range of B-cell malignancies and other cancers including chronic lymphocytic leukaemia (CLL), MCL, Waldenström macroglobulinaemia (WM), follicular lymphoma, diffuse large B-cell lymphoma, and multiple myeloma. It is also being studied as a monotherapy and in combination trials for solid tumours. More than 35 clinical trials across 40 countries with more than 2,500 patients are underway or have been completed. AstraZeneca acquired the drug when it bought a 55% share in Acerta Pharma in 2015, paying $2.5 billion upfront and is now set to pay a further $1.5 billion, based on the FDA approval. The terms of the deal means AstraZeneca can buy the remaining 45% of Acerta for $3bn now that Colquence has been approved in the US. The approval is further good news for AstraZeneca, which is enjoying success in oncology, where its immunotherapy Imfinzi is on track to gain a groundbreaking approval in lung cancer. The company is seeing its best news emerging from oncology, with more mixed news in other key areas, such as cardiovascular, diabetes and respiratory medicine. This morning the company announced its candidate for severe and uncontrolled asthma, tralokinumab, had failed to reach its primary endpoint in a phase 3 trial.